I’m floating at sea but dancing on air. Lounging on my sunny balcony, the only sound is the rhythm of waves curling out to the horizon. Is it my imagination, I wonder, that the watery splashes are echoing the pulse of the bossa nova or, maybe, the samba? By now—the last sea day of my 19-day cruise on Silversea’s new Silver Muse—my senses spontaneously swing to the Latin beats that percolated throughout South America from Buenos Aires, Argentina, to Rio de Janeiro, Brazil, and onward to the Caribbean. After being immersed in the sights, sounds and local cultures, no wonder my toes are swaying to the flow of waves. The ports of call—a stream of places that are tricky or tedious to reach independently—made me feel confidently secure as a solo passenger. Though I relied on guided excursions to off-the-beaten track locations, my adventurous spirit occasionally spurred me to venture out alone or with new shipboard friends, always with my wits alert. Interestingly—as passengers on this itinerary ranged from early 40s to 97 (yes! )—I met people who explored every port on their own, some with private drivers, some walking and hopping on local transport. A 70-something man sought out every extreme feat, like hang-gliding off a cliff in Argentina. One couple—both young teachers from Sweden—had brought collapsible mountain bikes. In every port—even when we were tendered ashore—they disembarked with their bikes, backpacks brimming with provisions, and shot off like lightning for inland treks. After boarding in Buenos Aires and being welcomed by my butler, I headed out of my cabin for an al fresco lunch. While at the maître d’s desk, I met a group of British passengers. Turned out they were among dozens of international passengers already well into a 66-day cruise looping from Fort Lauderdale that circumnavigated South America. These gregarious Brits were heading on to their winter homes in Barbados, which is also my last port of call. During cocktail hour, I met a couple of ladies, like me also veteran solo cruisers. Planning ahead, one—a retired diplomat—invited me on a Rio de Janeiro tour. She was on board to complete her “bucket list of all the Wonders of the World” with a visit to Christ the Redeemer. The other—a fashion marketer—invited me for the ship’s guided day trip. It would take us north of Rio and up a mountain rainforest to one of Brazil’s highest peaks where we would find the Imperial City of Petrpolis and the local flavours of a famed churrasco barbecue restaurant. 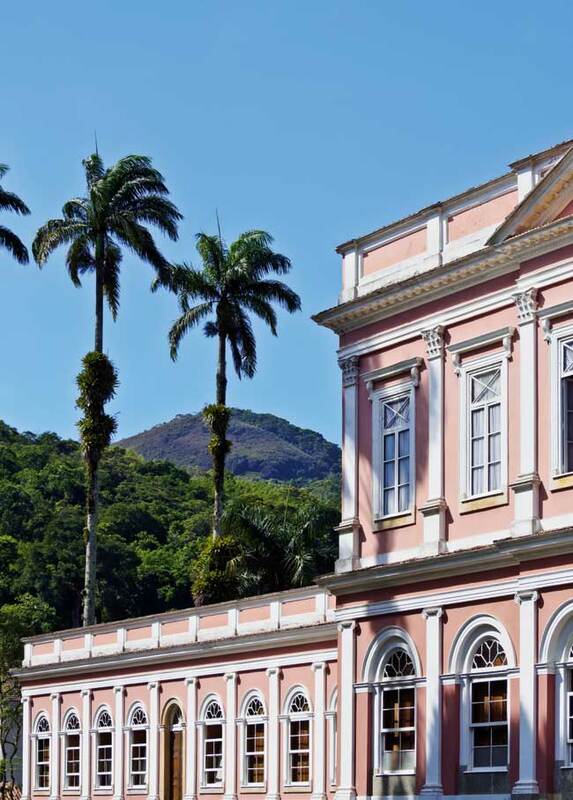 Established in 1845, the city is home to the Imperial Palace, where Dom Pedro II, Brazil’s last emperor, lived. 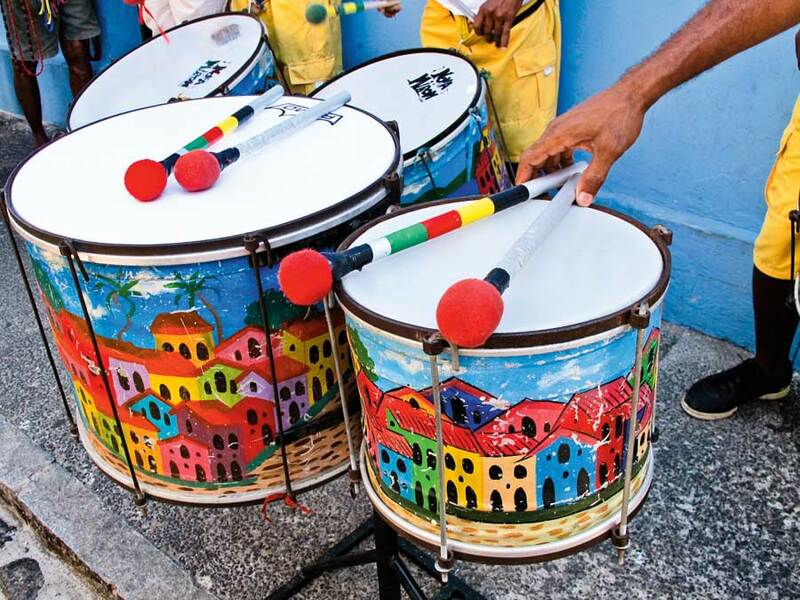 An onboard presentation on Latin American music showcased the nuances between Argentina’s tango and Brazil’s samba, rhumba and bossa nova and traced the influences of African heritage on the percussive beats. That inspired me to join the dance classes—something I’d never done before. By disembarkation, I could step into everything from salsa to cha-cha to merengue to swing, albeit not perfectly or gracefully. On board, some of us took Spanish or French lessons or set into spa-fitness-wellness routines. Golfing with a gang of funny Aussies, New Zealanders, Irish and Americans became my daily ritual laugh bash, too. The easy camaraderie began feeling like an embracing country club. Dark skies couldn’t dampen the thrill of approaching Rio de Janeiro for a three-day stay. Shades of dim light created magical silhouettes of Sugar Loaf Mountain and Corcovado with Christ the Redeemer atop. On board, the local Samba Carnival dancers gave spectacular performances as we took in the view of Cidade Maravilhosa (marvellous city), which is, unsurprisingly, designated as a UNESCO World Heritage Cultural Landscape. By mid-morning, blue skies illuminated Rio’s beaches teeming with local Cariocas. 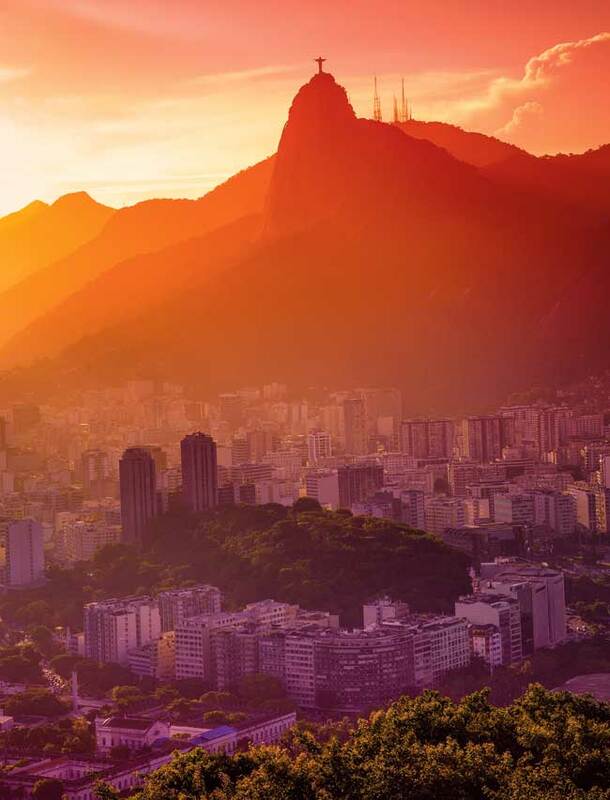 Its Botanical Garden, the Sambadrome of Carnival, the famed Maracanã football stadium and the swank areas dotted with jewelry shops were all bathed in brilliant sunshine. Also within view, the more than 1,000 favelas, in areas which passengers were cautioned to avoid. To call the excursion to Fortaleza—the city built by the Dutch in 1649, and later conquered by the Portuguese—a rude awakening is an understatement that belies the contrast between rich and poor, safe and brutal neighbourhoods. For all the views of the Gothic, Romanesque and Art Nouveau architecture, its white sand beaches and wealthy pockets, the cathedral with its astonishing stained-glass windows and charm of markets brimming with leathers and lace, we were still struck silent by the number of buildings rimmed with walls capped by barbed wire and armed guards posted everywhere. We felt blessed to return to the ship and head to sea. Búzios, a sleepy fishing village on the peninsula east of Rio, was a pure delight. It features a statue of French movie star Brigitte Bardot, who made the town famous in the ’60s when she was spotted there sporting her string bikini and a Brazilian boyfriend (call it South America’s St. Tropez). Definitely a cheery spot to sip a potent Caipirinha cocktail at a sunny café. 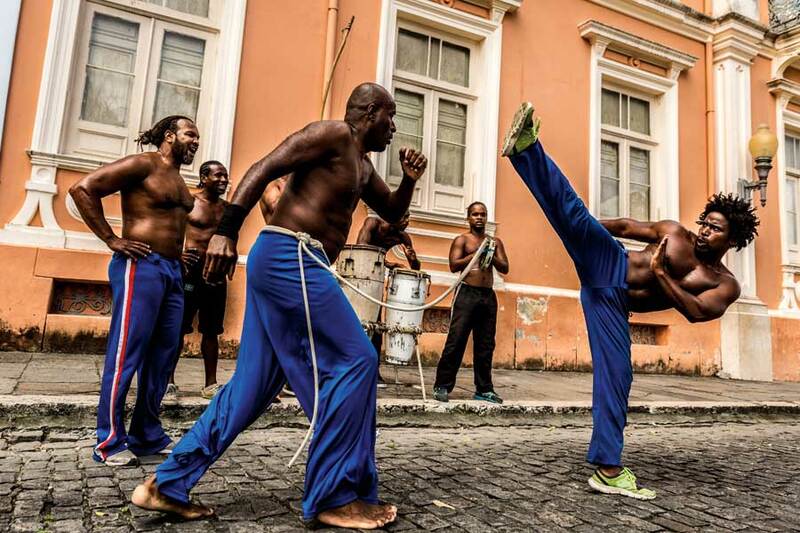 Salvador, the capital of the northeastern state of Bahia, showcased the scene thriving among the buskers and vendors in its historic upper Pelourinho district, a UNESCO World Heritage Site that features more than 300 churches. I think about how much of Brazil’s food, music and the arts are traced to the diverse cultures stemming from the slave trade. Even though Dom Pedro II was the first in the Americas to free his own slaves and start the path to emancipation, the history of the slave trade, which we learned about when we toured the colonial architecture of Paratay, still leaves a noticable legacy in Brazil. According to one guide, “it ultimately created 132 different skin colours in the country.” The fact that there is a count points to the ongoing issue with colourism and what it means for class in the society. The Portuguese influences, with the Afro-Brazilian cultural fusion, however, makes for multi-cultural juxtapositions that show the contradiction and complexities of the beautiful and the ugly. We left Brazil with a heading set for the remote Devil’s Island, Napoleon’s notorious penal colony—actually, an archipelago of three islands—off the coast of French Guiana. During a day at sea, we learned of the island’s infamous prisoners. One we know of from the film Papillon, which we viewed on board and starring Steve McQueen, who portrayed the French writer Henri Charrière—accused of a murder he claimed he did not commit, and the film is based on Charrière’s memoir charting his escape. Past and future collide on this island. I was smitten with a handsome throwback, a French Foreign Legion Army soldier, who was stationed at port, while the Guiana Space Centre— rumoured to be a potential launching spot for a U.S. space telescope—is in the heart of its jungle.